Shareholder activism is on the rise not just in Canada, but around the world. Increasingly, shareholders are using their power to insist that companies take certain actions, including replacing key members of the management team or selling specific assets. How can directors encourage positive shareholder activism and preemptively address any concerns shareholders may have that could lead to more extreme forms of activism? What is Shareholder Activism, and How Does it work in Canada? Since the interests of shareholders are usually short-term profits, they are generally in line with what most companies strive towards. However, when the company wants to consider activities that will result in long-term profits, or otherwise affect short-term earnings, shareholders may strongly oppose this and relations can get hostile. t Shareholder activists may also have social change agendas, but these are easier to comply with when an established corporate social responsibility (CSR) structure is in place. Businesses may consider adding a shareholder activist’s request to their list of CSR policies. A more hostile situation may see shareholder activists trying to gain control or replace the company’s management team. This usually begins with negotiations, but can end with a formal proxy contest, which is commonly known as a proxy fight for the activist shareholders to gain control of the business. However, according to research conducted by the firm Fasken Martineau DuMoulin LLP, there were only eight such contests in Canada in 2016, which is the lowest number Canada has seen in ten years. According to the firm, such fights are expensive, and this is incentive for both parties to come to an agreement without involving heavy-handed measures. A few high profile Canadian shareholder activism cases in the past few years have brought the issue more sharply into focus for Canadian boards. These cases include Bombardier and Hudson’s Bay Company. In the case of Bombardier, there was public outcry over the company’s executive compensation plan in 2017 in the face of massive layouts and acceptance of government bailout loans. 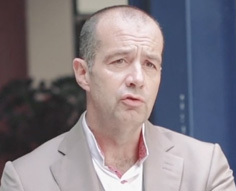 Larger pension funds, such as the Canada Pension Plan Investment Board (Canada’s largest pension fund) and others threatened to withhold votes for Pierre Beaudoin, a member of the family that founded the company, being named as the chair of the board, wanting instead a chair independent of management. In response, Beaudoin gave up his executive management role and is now solely chairman of the board. While this wasn’t exactly what the activists asked for, it satisfied their concerns at the time and the company’s executive compensation plan passed. Another high-profile case, and according to some a “win” for company management, concerned the Hudson’s Bay Company (HBC). HBC is one of Canada’s oldest companies and was established for the global trade of Canadian natural resources, such as furs. An activist shareholder, Land & Buildings Investment Management LLC, had a sustained and aggressive campaign to convince HBC to sell some of its highest-valued real estate assets. In addition to trying to meet the request by liquidating some of its real estate assets, HBC fought the move through a private placement of convertible preferred shares to Rhone Capital, which gave Rhone a 22% stake in HBC and an option to have 30% if the convertible shares were held to their 8-year maturity . The measures had a twin effect of reasonably meeting some aspects of a shareholder’s requests, and protecting the Company in the event that Land & Buildings was not happy with the extent of HBC’s real estate divestments and decided to take further measures of its own. Shareholders are just one set of stakeholders that a board needs to take into consideration when making decisions. 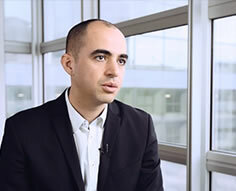 Employees, creditors, customers and more need to be taken into account so that board decisions are made for the greater good, according to Mohamed Khimji, a professor at the Queen’s University Faculty of Law in Kingston, and principal investigator for the project “Shareholder Democracy in Public Corporations — An Empirical and Economic Analysis”. Thinking like an activist is necessary, as is keeping an eye on typical issues that they look for, such as compensation aligning with performance, return on equity, and sound business management according to best practices. It is also necessary to stay in constant touch with your shareholders, according to Heidi Gordon, a lawyer with McCarthy Tétrault LLP who works with M&A and capital markets transactions. This means regular mailings, conference calls, and board accountability for their decisions. Board accountability can be realized with explanations for their decisions and strategies containing hard data that speaks specifically to the questions that a shareholder activist may ask. DiliTrust Exec makes board decisions – and explaining them – simple with board management software that allows you to run your board meetings and decisions transparently, securely and globally from anywhere in the world offline. Contact us to arrange a demonstration.